Qatar, officially known as the State of Qatar, is a sovereign country situated in Western Asia. Qatar aims to be one of the leading countries in terms of business. The country pursues a robust program known as “Qatarization”, under which all joint venture industries and government departments aim to move Qatari nationals to a position of greater authority targeting 50% of the workforce in the industry and energy sector. This aims to be a special economic zone that covers sectors like healthcare & medical devices, aircraft and automobile industries, advanced technology, logistics, and business services. This zone is committed to support specialized industries and logistic service sectors and also provides all the required infrastructure for successfully servicing the GCC countries and global markets. Um Alhoul Economic Zone is dedicated to support light industries sector and is suitable for companies looking for world-class infrastructure and light industries. Al Wa’ab city provides genuinely meaningful offerings for residents, guests and visitors alike. It is a low-rise, low-density development with a true sense of peace. This pioneering project aims to revive the old commercial heart of the city and to bring back people to their roots and rediscover a sense of community and togetherness through a new architectural language based on community living. With a capacity of 86,250 people, this stadium aims to host the opening and final matches of the FIFA world cup 2022. Once done with the FIFA world cup, the stadium will be used to host other sporting and cultural events. A new coastal city under construction, this one is believed to contain 18 districts including a lagoon with two marinas, 25,000 residential units, high and low-rise buildings, commercial districts and mixed-use areas, retail areas, two golf courses, 22 schools and a hospital. With such advantages and all these exceptionally excellent privileges, Qatar is one of the most favourable countries to start a business in. 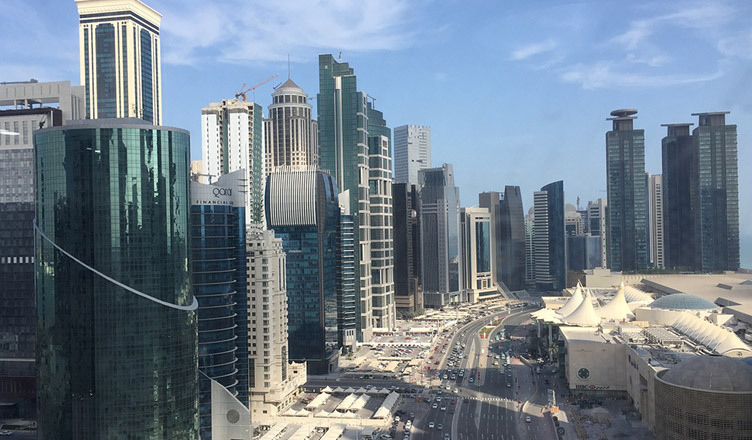 If you wish to set up a business in Qatar, look no further as our advisors at Business Setup Worldwide are here to guide and help you with the drill. We commit to take care of all the hurdles lying in your way while forming your business, and shall be more than happy to assist you and be a part of your success journey. For any queries on setting up a company in Qatar, do to contact us – we’d be happy to help. Shalu Lal is an engineer in the making fascinated by the idea of contemplating and writing, who dived into Digital Marketing and found her cup of tea. © 2019 Business Setup Worldwide. All rights reserved.